Schaumburg Therapist: Bruce Christensen - Therapist 60195. Send A Message To Dr. Christensen. Dr. Christensen is a Licensed Clinical Psychologist in the Chicago, IL Northwest suburbs. He received his doctorate in 1966 from Loyola University of Chicago. With over 30 years of experience he has developed expertise in many areas of psychology. 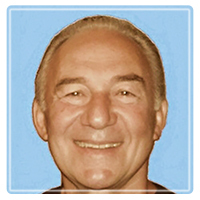 He has worked mostly as a psychologist in private practice, serving primarily out-patient clients. He also has experience as a management psychologist, career counselor, court psychologist, psychiatric hospital psychologist and psychological testing specialist. He offers individual, marital, couples and family psychotherapy. He provides treatment for adolescents, adults and seniors. His areas of expertise include stress, anxiety, panic, depression, self-esteem issues, personal confusion, inner conflict, anger management, post traumatic stress disorder, turmoil in the face of broken relationships and other issues. Sometimes disturbing external realities of client's lives can be changed and balance can be achieved by making constructive adjustments to real life situations. Too often, however, external changes are not possible because the problems people present ofter have their causes more in the inner workings of individuals than in outer happenings. When such is the case, he then helps clients to learn ways to develop their inner strengths that enable them to find effective ways to cope and live in constructive harmony with these realities. An old saying aptly puts this dynamic into perspective: "You can't smooth out the waves, but you can learn to surf." Thus, in working with people and their issues, Dr. Christensen strives to help individuals, couples and families to understand and learn to deal more effectively with the factors contributing to the difficult realities they face in life - realities that contribute to the anxiety, depression, anger and emotional turmoil that initially brought them to seek help through counseling. Dr. Christensen's strategy with clients mainly involves seeking out and resolving the underlying, root causes of troubling issues, so as to enable the client to become free of the life-spoiling stress and emotionally depleting aspect of unresolved issues in their lives. This fosters personal growth and an opportunity to move beyond struggling to get by and, hopefully, to achieve a more conflict free, enjoyable and productive life. Each person who comes into Dr. Christensen's office is unique. Each views the world from the particular vantage point of the needs, values, beliefs and style that nature and nurture have encouraged him or her to develop. In honoring such, Dr. Christensen tailors his approach to the individuality of each client, whether individual, couple or family.